In the state of Minnesota, one in 11 people aged 45 and older are experiencing memory problems that worsen year over year. 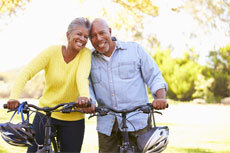 The CDC reports 31 percent of adults ages 65 and older had no leisure-time physical activity in the past month and older adults have the highest rates of poor physical health and activity limitation compared to other age groups. According to the National Institute on Aging, more than two million people over the age of 65 have been diagnosed with depression or social isolation. The YMCA of the Greater Twin Cities, a leading nonprofit dedicated to strengthening communities through youth development, healthy living and social responsibility, addresses the needs of the growing aging population to help them thrive physically, mentally and socially. The National Institute on Aging states 10,000 people become eligible for Medicare daily, a rate likely to continue over the next 20 years. Physical, mental and emotional health is important as people age to prevent injuries and reduce the risk of dementia and depression. With a focus on healthy aging, the YMCA addresses all aspects of wellness and helps older adults stay active physically, mentally and socially. Gunderson added the YMCA will recognize Active Aging Week September 24–28, 2018. With a focus on healthy aging, the Y is committed to helping seniors access programs that can help them build strength in spirit, mind and body. Each Y location offers a variety of opportunities to connect to the community through education and enrichment programs, volunteering, day trips and more. Each year, it’s estimated that one out of four Americans aged 65 or older will suffer a fall, leaving many adults with a fear of falling that can cause them to limit physical activities. This leads to reduced mobility and diminished quality of life and can increase their risk of falling. In addition, as the population ages falls put an immense strain on the health care system, with the financial toll expected to reach $67.7 billion by 2020. Begin an exercise program to improve leg strength & balance. Ask a doctor or pharmacist to review medicines. Get annual eye check-ups & update eyeglasses. Removing clutter & tripping hazards. The Y participates in the Silver&Fit and Silver Sneakers® programs for Medicare-age members and encourages people to check with their insurance provider to determine if they are eligible. Health and fitness offerings for seniors include cardio classes like Zumba Gold, Aqua Zumba, line dancing, group cycling, circuit training, water exercise classes, yoga, walking clubs, Tai Chi and Bridge to Fitness. Recreational activities include pickleball, book clubs, potlucks and field trips. Because the YMCA is a leading nonprofit committed to helping seniors thrive, financial assistance is available to those in need.